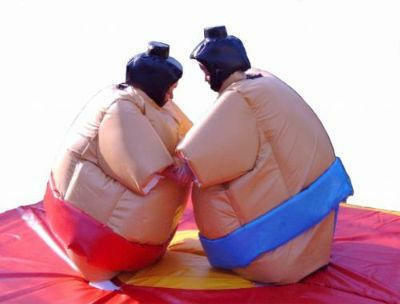 You and a friend can dress up like big Sumo guys and hit each other until the other person falls onto a soft mat!! BEST WAY TO FIGHT THE BOSS!!!!! !